Finished in a black oak wood veneer and highlighted with orange accents down the middle of the table and sides of the base, the dining table will enhance your living space. A clear acrylic base creates the illusion that the dining table is floating. 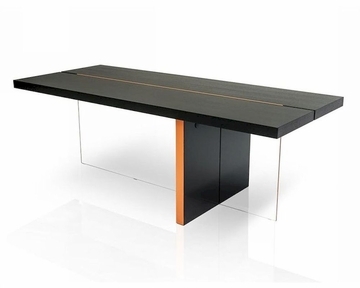 Black Oak Floating Dining Table - W87" x D36" x H30"